Net absorption for the quarter was 768,350 square feet, an improvement of nearly 500,000 square feet from the previous quarter. The catalyst for this turnaround was an increase in industrial space occupied by new users entering the market or current users expanding their space within the market. There was just one speculative industrial property coming online at the end of quarter, delivering 307,850 square feet in Racine County. In future quarters, the Milwaukee industrial market will see a higher rate of deliveries due to 921,673 square feet currently under construction, with several additional projects breaking ground next quarter. Average asking rents in the Milwaukee industrial market ended the quarter at roughly $4.50 per square foot when averaging all subcategories of space. Available flex space in this market currently averages an asking rate of $6.79 per square foot, whereas warehouse/distribution space averages $4.40 and manufacturing space averages $4.08 when including properties that are proposed or under construction. The Foxconn effect on the industrial market in the Milwaukee area cannot be understated. 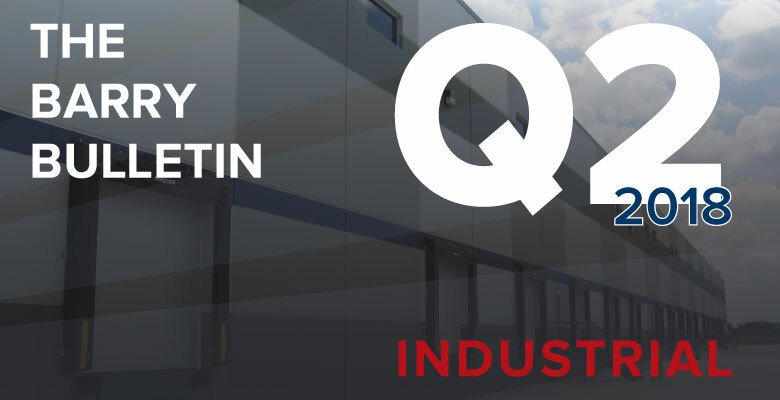 As mentioned in our previous quarterly report, the prospect of the Racine County industrial market doubling in size is not farfetched, as there is over 8.25 million square feet of industrial space either already under construction or proposed as of the end of Q2. This effect, along with rising land prices close to the interstate intensifies the demand for industrial space along the I-94 south corridor. Metro Milwaukee is currently experiencing favorable growth in its economy. The strong market for jobs can be seen with year over year job growth beating the national average. Annual job growth for the region was up by 11 basis points from Q2 2017 to Q2 2018, maintaining a relatively low rate unemployment rate of 2.7% in the Metro-Milwaukee area. Combine this with a business-friendly government and the renewed interest of national developers and the stage is set for continued strength in the industrial real estate market.